Veteran animator-director Tom Ray, an executive board member of The Animation Guild (Local 839 of IATSE), died Tuesday at Sentara Leigh Hospital in Virginia Beach, Virginia. He was 90. He was born Thomas Archer Ray in Williams, Arizona on August 2, 1919. 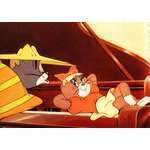 He started at Warner Bros. in 1937, working for MGM after the Second World War in the Hanna-Barbera Tom and Jerry unit. After stints at John Sutherland Productions and UPA in the 1950s (his first screen credit was for the 1956 Sutherland cartoon Destination Earth), Ray returned to WB, where he earned animator credits on a number of Bob McKimson and Chuck Jones cartoons. Over the following years, he worked at one time or another for almost every major studio in Los Angeles, including stints at Hanna-Barbera and Warner Bros. He also founded his own shop, Archer Productions. 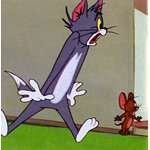 Ray also worked for Walt Disney Studios, Chuck Jones and other major motion picture studios. He was one of the six animators who created How The Grinch Stole Christmas! in 1966. He was a writer for The Bugs Bunny Show (1961-62). As well he was a director for Transformers (1985-86); The Glo Friends, Potato Head Kids, InHumanoids and Moon Dreamers (all 1986); My Little Pony 'n Friends (61 episodes, 1986-87); Fraggle Rock (1987); and Garfield and Friends (1989-90). He served as an animation director for The Incredible Hulk (1982-83), Dungeons &amp; Dragons (1983-85), Muppet Babies (1984-88), Defenders of the Earth (1986), and RoboCop and Dino-Riders (both 1988). Ray was a sequence director for G.I. Joe: A Real American Hero (1983), Transformers (1984-87), Robotix (1985), G.I. Joe (1985-86), Jem (1985-88) and The Little Wizards (1987). He animated episodes of The Road Runner Show (1966); Super President (1967); The Bugs Bunny/Road Runner Hour (1968); The Pink Panther Show (1969); Josie and the Pussycats (1970); Help!... It's the Hair Bear Bunch! (1971); The Roman Holidays, The ABC Saturday Superstar Movie and Fat Albert and the Cosby Kids (all 1972); Hong Kong Phooey (1974); The New Tom &amp; Jerry Show (1975); The Mumbly Cartoon Show, Jabberjaw and The Sylvester &amp; Tweety Show (all 1976); The All-New Super Friends Hour (1977); Scooby's All Star Laff-A-Lympics (1977-79); The Bugs Bunny/Road Runner Show and Challenge of the SuperFriends (both 1978); Godzilla (1978-80); The New Adventures of Mighty Mouse and Heckle and Jeckle and Spider-Woman (both 1979); Flash Gordon (1979-80); The Ri&#162;hie Ri&#162;h/Scooby-Doo Show (1980); Meatballs and Spaghetti (1982); The Bugs Bunny/Looney Tunes Comedy Hour and ABC Weekend Specials (both 1985); and The Bugs Bunny and Tweety Show (1986). Even into the 1990s, he worked on such series as Tiny Toon Adventures (as a timing director) and Darkwing Duck (as an animation director). 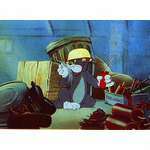 He animated Merrie Melodies: Starring Bugs Bunny and Friends in 1990 and That's Warner Bros.! in 1995. He was a sheet timer for Animaniacs (1993) and Hey Arnold!&quot; (1998), and an animation director of a 1996 episode of The Real Adventures of Jonny Quest. He served more than once on Local 839's executive board, most recently in the period leading up to his retirement in 1988. After retirement, he moved to the East Coast, where he taught animation and founded Tomstone Animation in Stroudsburg, Pennsylvania. He was a member of the Academy of Motion Picture Arts and Sciences, as well as East Coast Baptist Church in Virginia Beach. Ray received TAG's Golden Award in 1987. His first wife, ink-and-painter Anna Lois Ray, who received the Golden Award as well in 1992, died in 1994. Tom Ray is survived by his wife, Brenda Ray; son, Thomas Gregory &quot;Greg&quot; Ray; two daughters, Aloyce Levin and Donna Mouliot (Greg and Donna have both worked in the industry); five granddaughters, Michele Durrett, Mahanna Coleman, Meredith Allen, Alishea Ray and Vanessa Ray; two great-grandsons, Owen Coleman and Micah Allen; a great-granddaughter, Leila Coleman; and a stepson, Ariel Martin. Funeral services were held Friday at East Coast Baptist Church, with Pastor Chris Brown officiating. Burial was at Albert G. Horton, Jr. Veterans Memorial Cemetery in Suffolk, Virginia. Graham Funeral Home in Chesapeake, Virginia is caring for the family. Please light a candle and leave a note for the family in the “Book of Memories” at www.grahamfuneralhome.com. 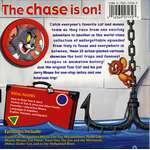 Cards can be sent to Tomstone Animation Studios &amp; Gallery, P.O. Box 56436, Virginia Beach, VA 23456. 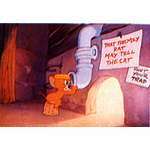 David Gerstein of the blog "ramapith" has posted a couple articles about the original title cards for the earlier Tom and Jerry cartoons. What is amazing about these title screens is that it was believed the originals were destroyed in vault fire back in 1965. 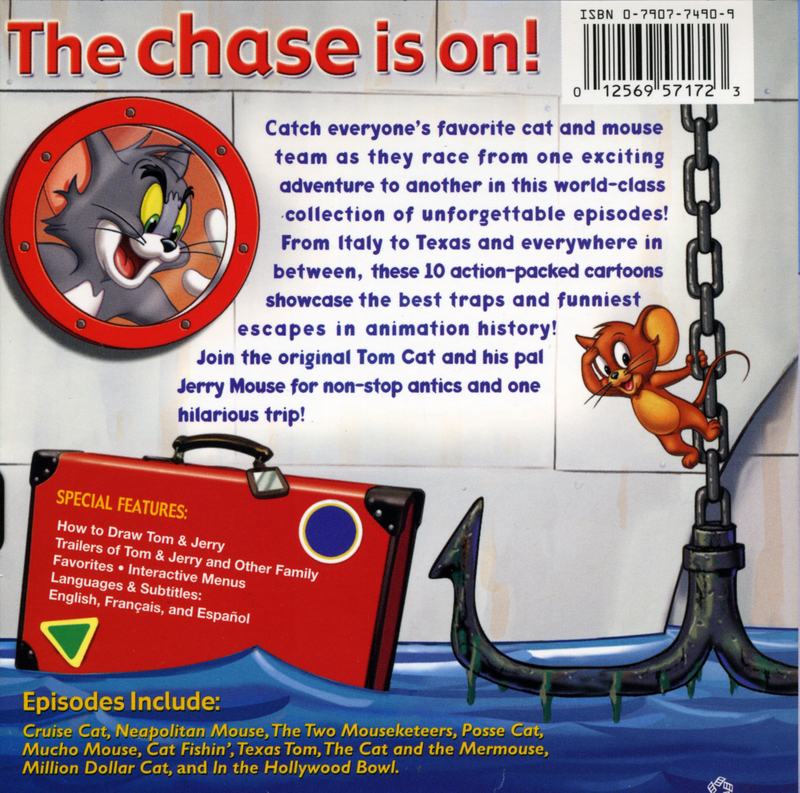 Coming on the heels of last year's release of The New Tom & Jerry/Grape Ape premiere episode's on SMC - 1970s Volume 2, New Tom & Jerry episode #80-15, "Cosmic Cat And Meteor Mouse", will be included! A March 8th, spring is just around the corner! So the updates are pretty much nonexistent to the site. For that I blame my insane work schedule. I've not had real time to devote to anything in my life, let alone this site. This seem to be clearing up a bit to allow me some more free time and I hope to have some new things on the...he's hoping. 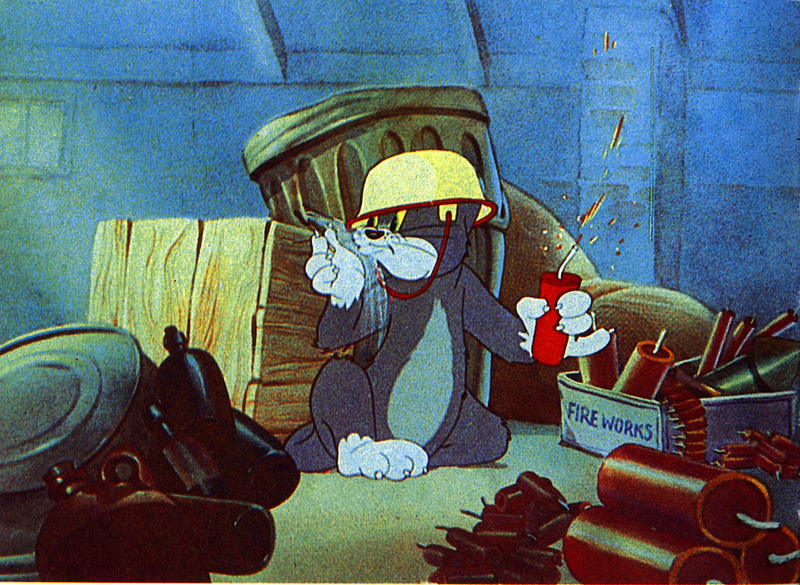 70 years ago today, a cartoon was released featuring a cat named Jasper, an unnamed mouse, and two-shoes with a voice. 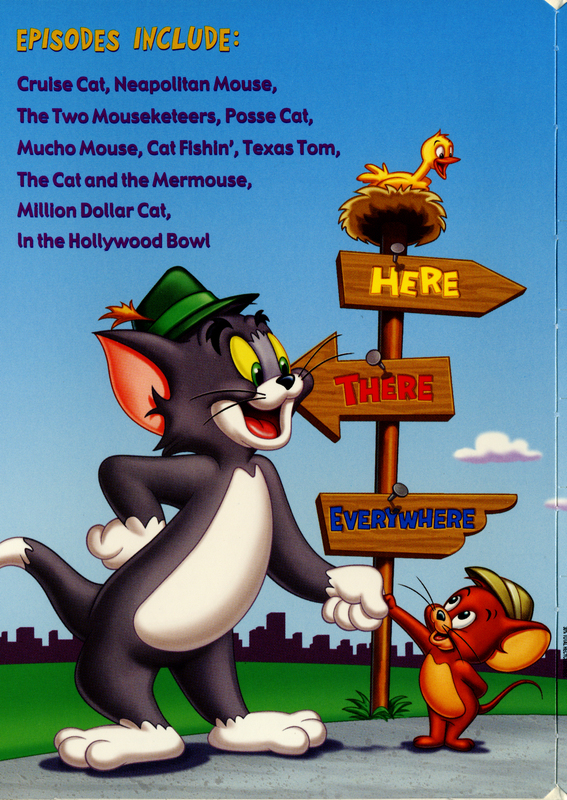 "Puss Gets the Boot" debuted in theaters on the 10th of February and changed the way cat and mouse cartoons were made. 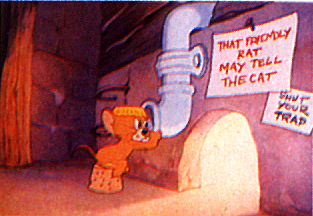 Oh, there were other cat and mouse cartoons, but Tom and Jerry provided something unique and memorable. Thank you Hanna and Barbera for giving us 70 years of laughter and mayhem that transcends language and time. 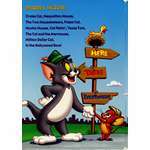 Happy Birthday Tom and Jerry! Just wanted to let you all know that I've not forgotten about this site. Work has been keeping me away from doing many updates to Tom and Jerry Online. It's our busy season and is it really hammering me. Hopefully, I can update soon. 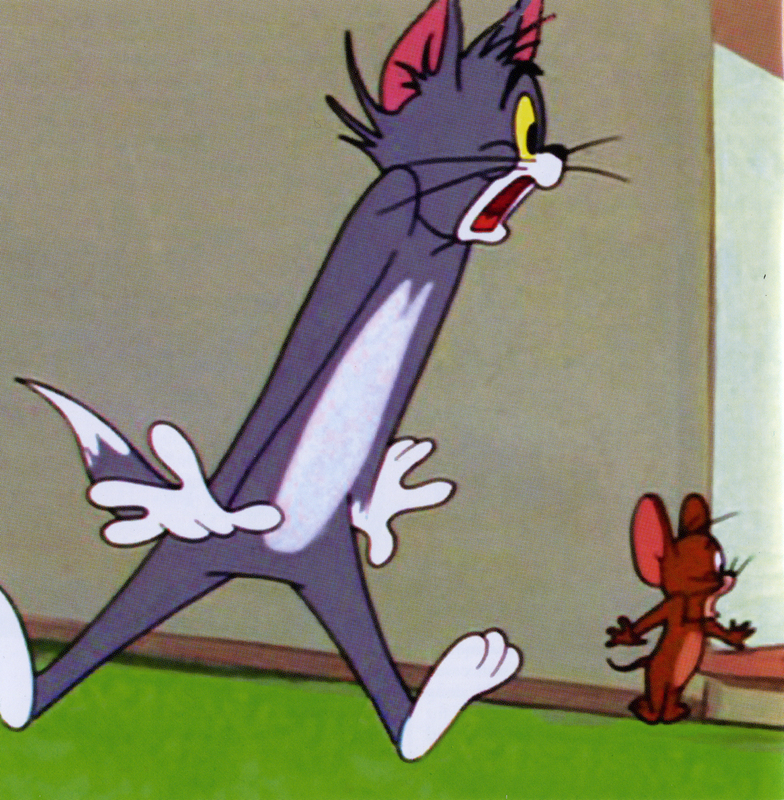 By the way, HAPPY BIRTHDAY TOM AND JERRY! 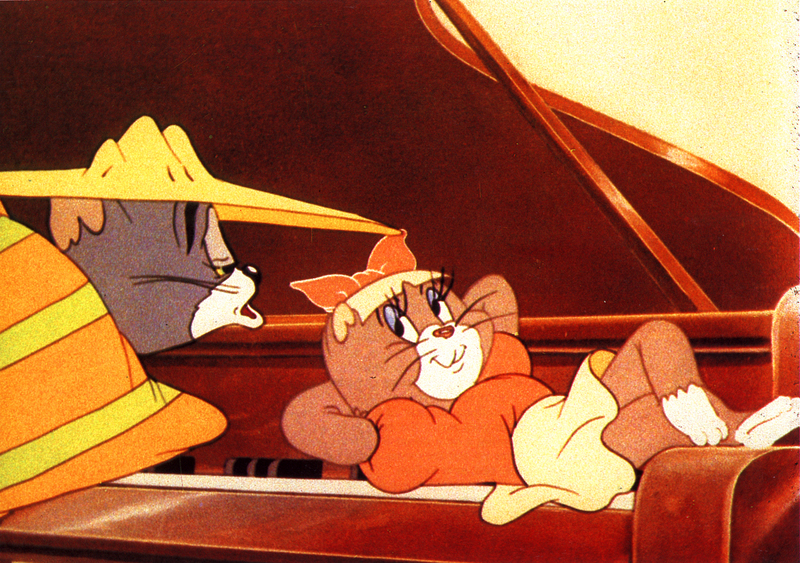 This year marks the 70th Anniversary of Tom and Jerry's first cartoon, Puss Gets the Boot! May you all have a happy and prosperous New Year!